Now, you can use frozen peaches, or fresh peaches that were canned at home. 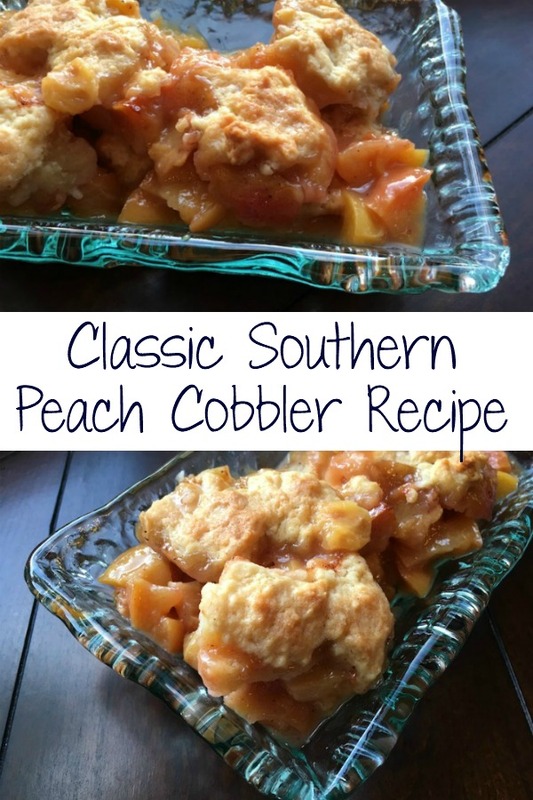 I wouldn’t recommend canned peaches that you buy at the grocery store for this cobbler recipe. 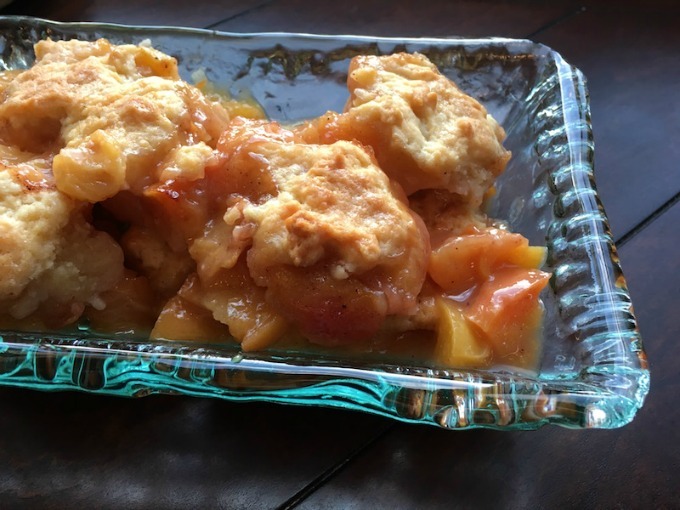 It’s so easy to make that even if you think you can’t cook, you can make our peach cobbler recipe. But watch out! It may become the dish everyone asks you to bring to potlucks and get togethers. Add peaches, sugar, lemon juice, flour, salt, nutmeg, cinnamon and vanilla extract to a large glass bowl. Thoroughly combine. Transfer peach mixture to a greased 8x8” baking pan. Top peach mixture with an even layer of brown sugar before placing pan in oven. While baking, add flour, sugar, salt, and baking powder to a different bowl and stir to combine thoroughly. Remove chilled butter from refrigerator and chop into very small pieces with a sharp knife. Add butter to the bowl and combine with dry ingredients with your fingers. You should have small pebble-sized pieces of butter when finished. Remove from oven and brush the top with the egg white wash and sprinkle remaining sugar on top. Return to oven to finish baking, another 10-15 minutes. Remove from oven when the top is evenly browned. 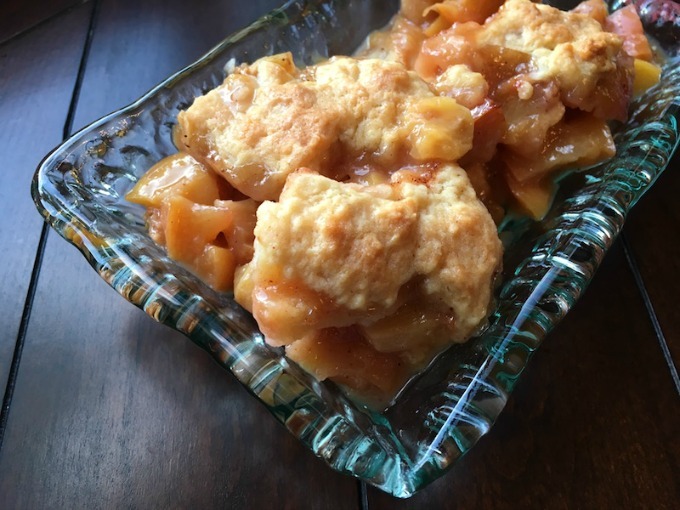 Serve this peach cobbler recipe with a scoop of ice cream – my favorite is a good french vanilla – or a dollop of homemade whipped cream. This is even good for breakfast, if there’s any leftovers!